Not sure why this app doesn’t have better ratings. From what I can tell the app works great. Even saw it covered on GMA for its great ability to match photos. People should understand this is a social media driven app and work has to be done by the people using it for it to work correctly. It starts by spreading the word about the app and getting friends and family to not only download but support it. I’m a dog owner and lover. I only own rescue dogs. 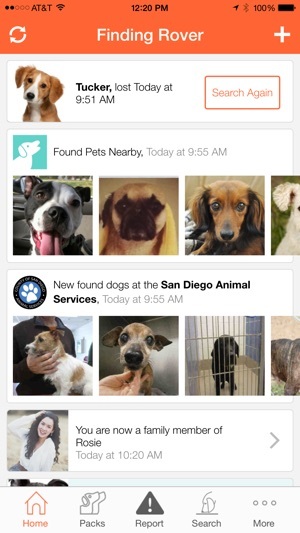 Both of my dogs are in the app with profiles. I would like to be able to have multiple addresses, and choose which one applies to what dog. 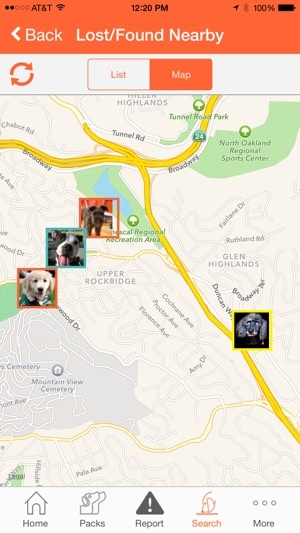 If reporting a lost dog choosing which home we are staying st witting the app with multiple addresses stored would be also helpful if it doesn’t exist already. 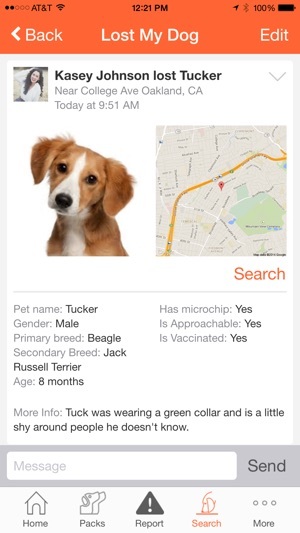 Thank-fully I have never actually had to report a dog lost yet so I don’t know how that part of the app works. Next I would like to have a feedback link directly in the app that sends an email to the developer team and to report bugs. The download was fast, the install was simple, and I had no trouble setting up an account profile via email. 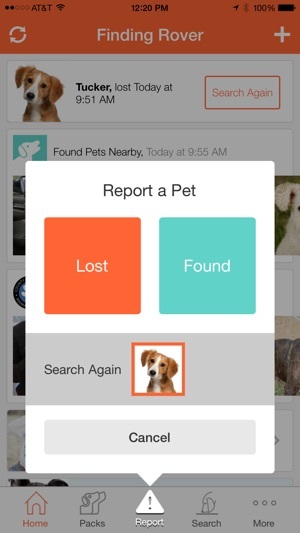 I haven’t had a chance to actually use the app, but having experienced the loss of a loved pet in past years, I hope this app helps me bring comfort to other pet owners who have lost their “fur babies”. I looked at my lost cat’s profile and there were several things wrong that I did not enter, such as the lost date, the location and it said he does not have a microchip when he does. There was no way to correct or update the pet’s information so I wrote some messages. But that does not update the basic profile sent in the searches. I’m unhappy with the poor way this is set up. © 2014 Finding Rover Inc.